Transform your barren outdoor space into a pleasant oasis simply by adding a container garden filled with plants. As you plan your containers, think beyond the stereotypical potted geraniums or violas in clay pots. 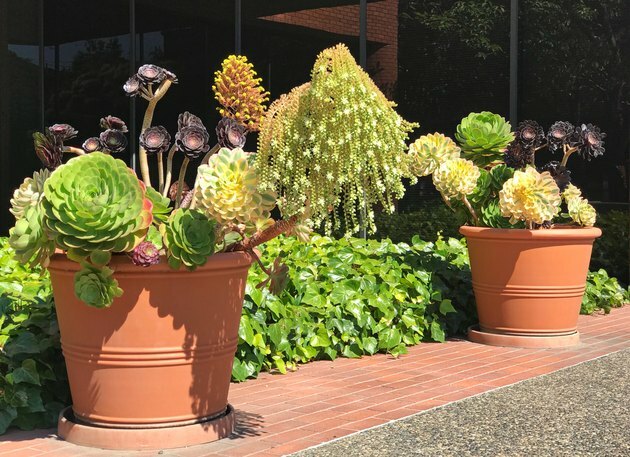 Today's container gardens can make a statement by the choice of containers as well as by the careful selection of unique plants. Consider grouping containers of different sizes and with various types of plants (flowers, decorative grasses, succulents, herbs, or even vegetables). Smaller container gardens can do double duty; they'll grow outdoors during the warmer seasons and continue to thrive indoors during cold months. 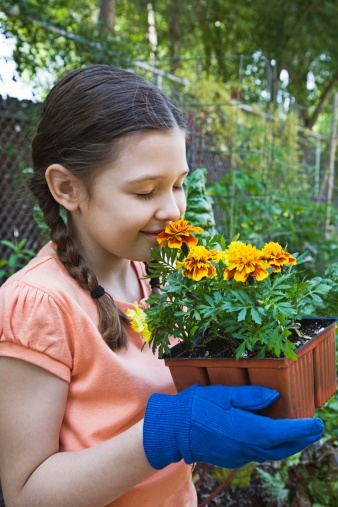 Of course, container gardens are also popular because they require minimal care: simply water and fertilize the soil. Weeds and pests are rarely a problem, and due to the small scale of the garden, even those are easily addressed with a few minutes of care. Groups or pairs of container gardens make a bold statement in a small space. Decide the type of container that will work best for your space. If you have a small balcony, a windowbox-style container or hanging basket won't take up floor space. If you have room, consider purchasing a pair of tall containers to frame a doorway or walkway. 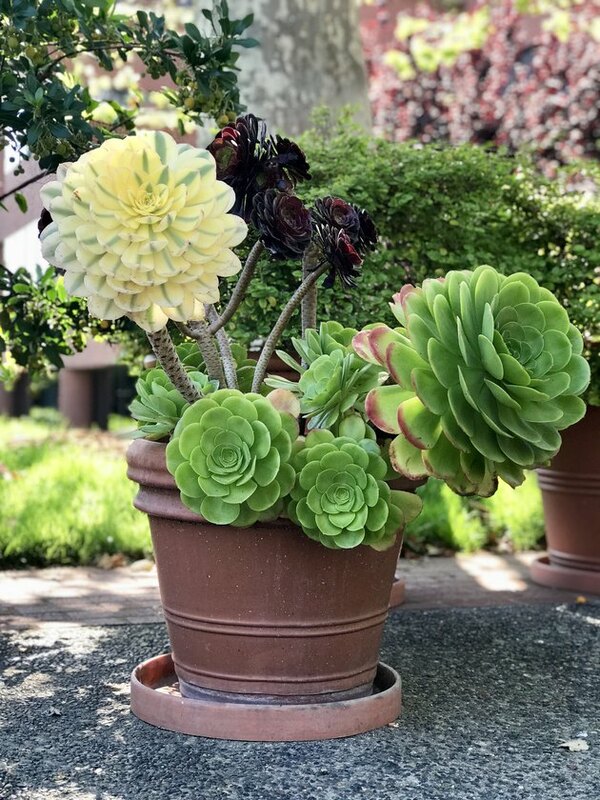 A large colorful glazed clay pot of at least 16" diameter is large enough to contain a beautiful display of foliage and blooms. Whatever container you choose, be sure it has drainage holes for water to run out the bottom, allowing for a healthy root system. 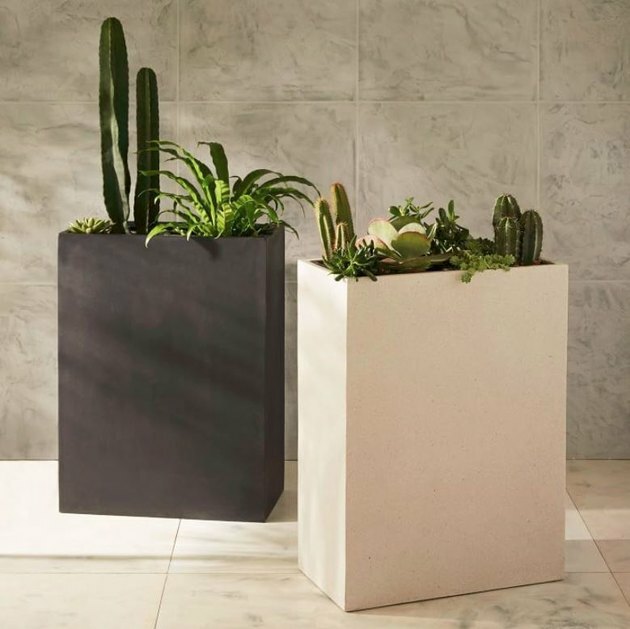 The modern structure of theses tall containers perfectly displays the striking forms of cactus and other succulent plants. If you purchase your container and plants at a garden center, you'll also find bags of specialty soil blends for container gardens. Choose the soil according to your plants. Besides a standard container garden soil, there are specific soils for succulents and even vegetable container gardens. These bags of soil are free of weed seeds and the soil will drain well and provide proper air flow and nutrients. Some bags of soil contain slow-release fertilizer that will continuously feed plants for up to three months. If your soil does not, you can purchase time release fertilizer separately to amend the soil. The advantage is a steady amount of nutrients are fed to the plant without having to remember to add it to the water on a weekly basis. Succulent gardens require a soil blend with more sand to prevent the roots from rotting. When you choose plants at a garden center, they will likely be grouped according to whether they grow well in sun or shade. Begin by choosing one "statement" or "thriller" plant that is especially tall, large, or dramatic in color. Then choose several "filler" plants that bridge the height of your tallest plant to the edge of the container. Also, choose plants that will provide a variety of color and leaf texture. Finally, many container gardens include one or more trailing plants or vines ("spillers") that cover the edge of the container and grow down the side. Place a sheet of newspaper or paper towel at the bottom of the container so the loose soil doesn't spill out of the bottom. Pour potting soil from the bag into the container and firmly tamp it down. Add enough soil so that when you remove the transplants from their nursery pots and set them into the container, the tops of the root systems will be just below the top of the planter. Add the plants, starting with the statement plant near the center and adding the other plants around it. Add additional soil between gaps in the plants. Firmly tamp into place. Thoroughly water the garden until water begins to run out the bottom. Container gardens usually need water once a day. You can check by inserting a fingertip two inches deep into the soil—if the soil feels dry, water the garden thoroughly. Always add enough water so that it drains out the bottom, ensuring that the entire root system is cared for.